Any seasoned cowboy knows a good boot needs a good fit. 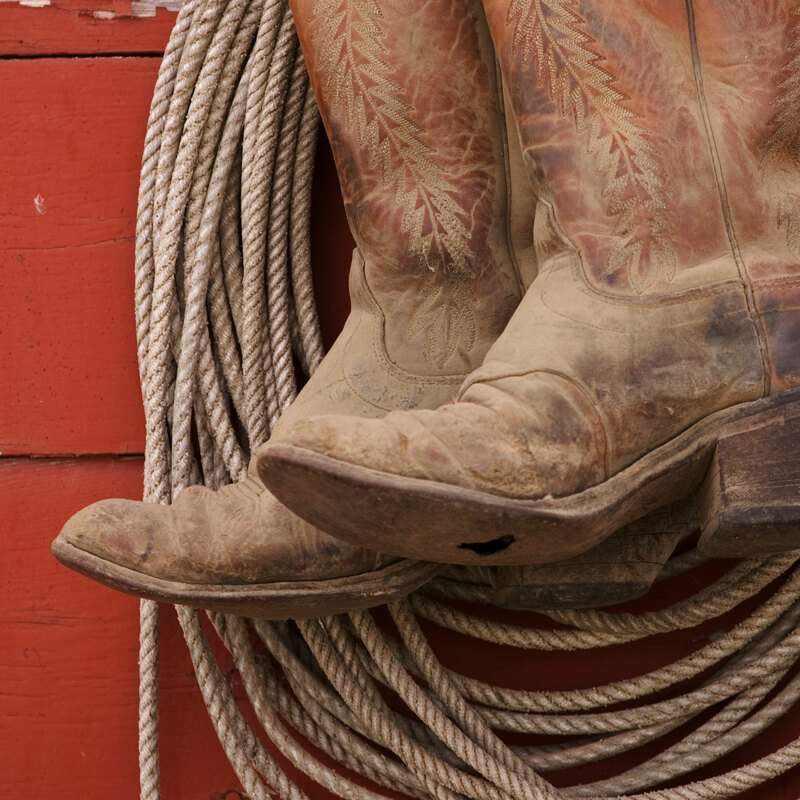 A poorly sized boot can cause misery, blisters and seriously mess up your line-dancing moves! But, how do you know when your boots are the right size? Whether you’re trying them on in our San Saba storefront, or shopping online, Harry’s Boots has a foolproof guide to make sure that new pair fits like a dream! If you can’t get measured in-store, it’s super easy to measure your feet at home. All you need is a piece of paper, pencil and ruler. Just trace then measure the length and width. Measure both feet and choose the size that’s the larger of the two. Wear the socks or tights you’ll wear most often with your boots. Once your feet are all good and measured, simply use these nifty Inch-to-Size charts to find your exact size. *If you require a wide width and no wide width sizes are available, try ordering a ½ size larger in the regular width. Or give us a call and we can special order the width you need! When you first try on the boots, your foot should resist a little then pop gently into the bottom of the boot. You want the boots to slip slightly in the heel. The sole of a new boot is always stiff, but the sole becomes “flexed” as it’s worn-in, so the slippage will eventually go away. If your foot is slipping too much, try a thicker sock or insole. But, keep in mind, some slippage is required for a proper fit. Cowboy boots should fit with the widest part of your foot in the widest part of the outsole, regardless of the toe shape. Leather boots continue to wear and will stretch slightly, softening over time. So, they should fit snug across the instep when they are new.